Subtopia presents seven circus projects on the 5-6th February 2017. Please note that the event is open only for presenters who have registered. We are happy to welcome presenters to a mini showcase of seven circus projects in Subtopia and Dansens Hus the 5-6th February 2017. In the context of the European-American cooperation project Circus Incubator*, Subtopia has the opportunity to present some upcoming and some already touring Nordic projects that we find of interest for international venues and festivals. Join us! 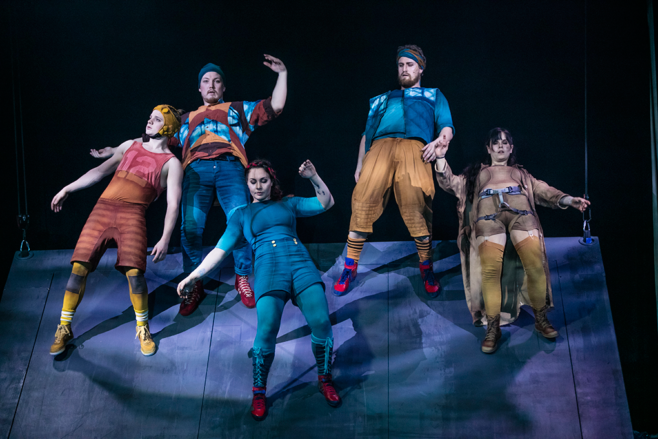 Tilde Björfors’ new circus balances a world of fleeing, migration and new frontiers against the artists’ individual limitations in terms of risk, pain and physical restrictions. 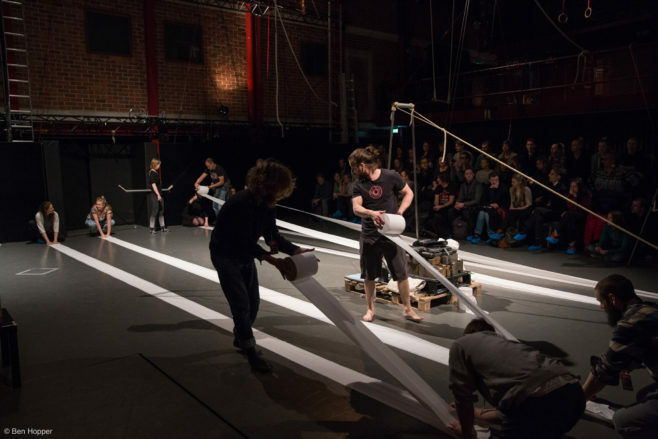 Limits has been celebrated by critics as “exquisite circus poetry” and has been on tour in Sweden and Europe since its premiere in Västerås, March 2016. The tour continues in 2017 with a long performing period in Norway and a much anticipated stop at BAM in New York. Circus I Love You is a collective of 8 artists coming from different countries to create a circus show with live music and touring in a circus tent. The cast features acrobats from La Meute, Sirkus Aikamoinen, Sisters, Tanter, Cirque Kozh; altogether they perform more than 12 circus disciplines and 10 music instruments. Metsä – The Forest Project is a site-specific walking trail performance situated in a forest environment. 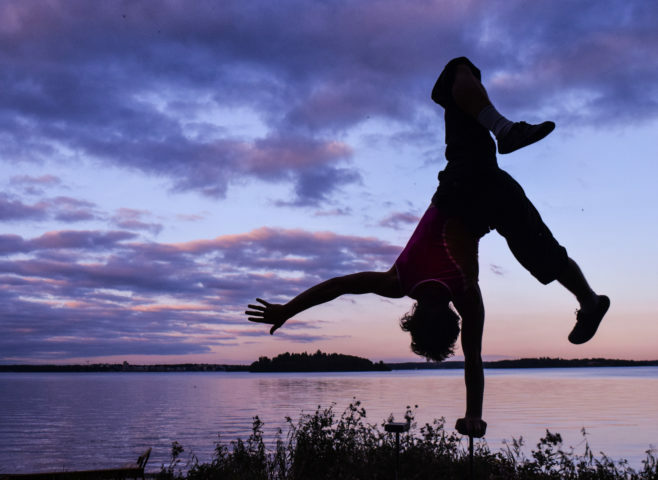 Metsä was created by Finnish circus artists Sade Kamppila and Viivi Roiha to strenghten the connection between humans and nature. Under is the final work in Olle Strandberg’s Under trilogy. Under is a grandiose, dystopian performance about man’s insignificance in the grand scheme of things. In their encounter with the vicissitudes of the weather, acrobatics, aerial acrobatics and song are taken out of their traditional contexts. Burnt Out Punks have toured Europe since 2005 with their large outdoor pyrotechnical fire circus. Smoke Screens is their new indoor circus show to be premiered in October 2017 in Prague. A cynical contemporary circus comedy dealing with the dark sides of social media through theatrical effects and illusions. The presentation will be followed by a 30 minute discussion. Breaking Point is the result of artistic research during a masters course at the Stockholm University of the Arts (DOCH). Mainly (but not only) through slack rope, Alexander Weibel Weibel explores the tension created due to expectations and people´s relation to different materials, riggings or everyday objects. Props are built on stage, with the help of the audience, and tested until they break. The idea is to try shift the focus from the performer to the material or rigging. A performance for all ages. Join for a networking lunch with other international presenters and the showcased artists. A buffet lunch will be served at a cost of 100 SEK (€10). Lazuz (to move in Hebrew) is a glimpse into the story of two guys. One of them is a Juggler. Obsessed with his world of flying objects, he explores and manipulates them in order to express himself. The other, an Acrobat, with a desire to play which drives him to move, and through that, to communicate. Their encounter is filled with misunderstandings, questions, and awkwardness. It’s their curiosity that leads them to reveal a path for understanding and friendship. A 30 minute work in progress. Premiere in 2017. To join, please sign up here! The showcase is offered for free. Shuttle service from Stockholm city to Subtopia is included. Please note that the event is open only for presenters who have registered. Seats can be guaranteed only for those who register before 24th January 2017. If you have questions, please don’t hesitate to contact Ida Kjällquist. * Circus Incubator is an international cooperation that offers young professional circus artists workshops to develop their projects in dialogue with presenters. Read more about the project here.